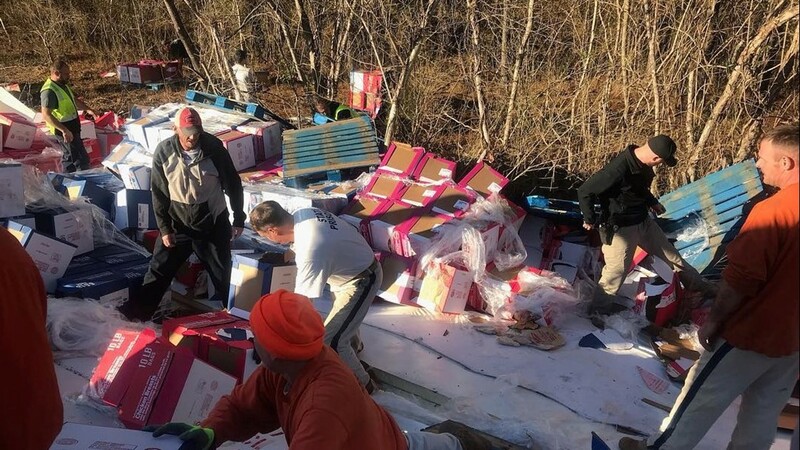 The truck tipped over on Cartersville Highway and the rest is a story of odd traffic call history. Semi-truck crashes are not all that uncommon. Ones that drop several thousands of pounds of chicken on the road, though, are a bit rarer. Temperatures on Saturday were definitely cool, but this poultry was outright frozen when it was thrown onto the highway. 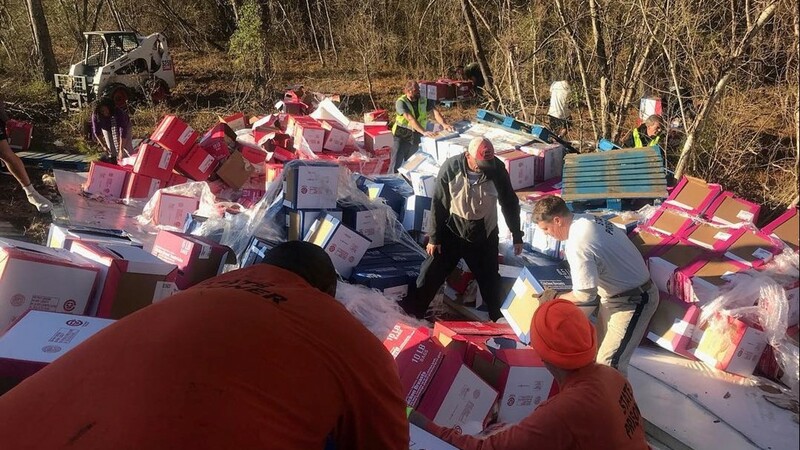 The Floyd County Police Department reported that a truck carrying 47,000 pounds of chicken tipped over on Cartersville Highway near Hine Road. 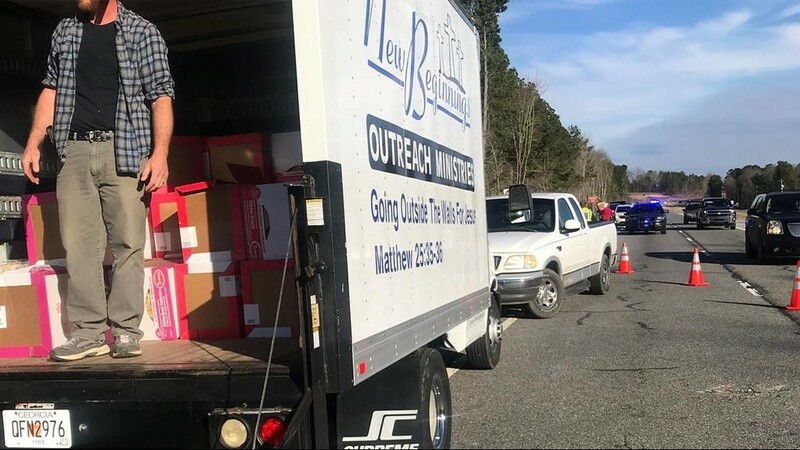 During the cleanup, which included several people clearing the frozen birds by hand, traffic on the roadway was narrowed to just one lane. 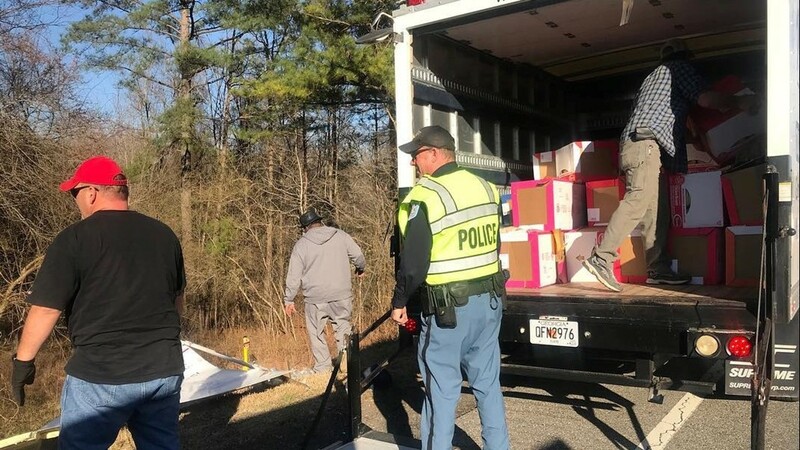 The photos also show the chicken being loaded onto a small box truck belonging to a local outreach ministry. It's unclear if this was the same truck involved in the incident. Either way, for drivers in this particular case, it was the chicken that didn't cross the road that was causing all the trouble.